When my daughter asked if we could get another cat, I was hesitant at first. Don’t get me wrong, I adore cats! With another cat in the home, it would mean a new member of our family who I knew we would all fall in love with. I also knew there would be more work for me. Three cats = a whole lotta cat poo! It’s a job that needs to be done regularly, and it’s not one I’m fond of doing. I hate scooping it because it always makes such a mess. I keep a broom by their litter so I can sweep afterwards because some always ends up on the floor. Disclosure: I received a sample for this post. All opinions are my own. This post contains affiliate links. I’d never seen or heard about the Neater Scooper before, but after I watched their video on how it worked, I knew I had to have one! It sounded like it would solve my issues with cleaning the litter. 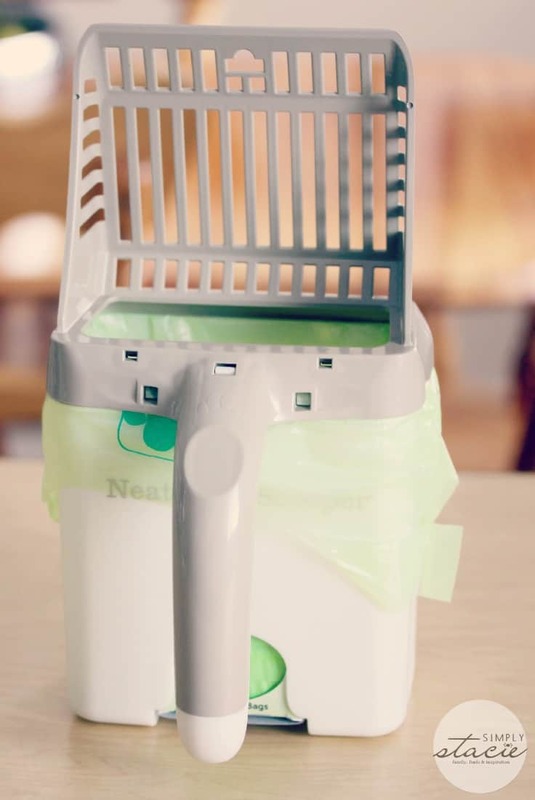 The Neater Scooper is a Scoop-to-Bag Litter System that allows you to clean the litter neatly with just one hand. It has an attached waste bin and a trap door and the mess goes right in without any effort. It makes cleaning the cat litter quick and easy. No more spilled litter on the floor! The broom is still there, but I haven’t had to use it to clean up droppings since I started using the Neater Scooper last month. I also like that it’s more sanitary to use. The bags are stored right in the Neater Scooper for easy access. They are scented to help seal in the odour. Watch this video to see the Neater Scooper in action. Reggie, our new kitty, is still adjusting to his food so I’ve been using one bag to scoop his litter box alone each day. The Neater Scooper comes in four colours and is $17.99. For Canadians, you can buy it on Amazon to have it shipped to you. How do you currently clean your cat litter? Neat idea; much cleaner indeed.. 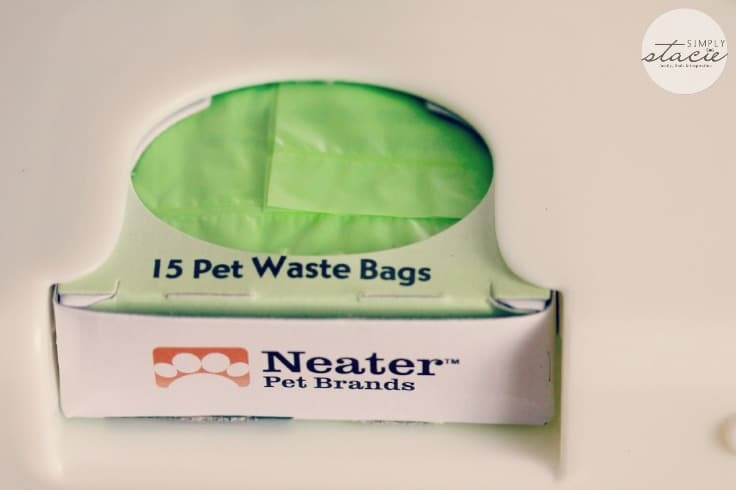 I am not sure it’s the most economical with those little disposable bags though. thanks for the review I am always looking for ways to cleaning cat litter cleaner and easier! Sounds like a great idea, with 2 kitties in this house I am sure it would come in handy. I need one of these, I scoop too but have to use my other hand to hold the bag open, and when I’m done I too need to sweep, this looks a lot easier to use!! What a handy looking gizmo! I think I might want one. 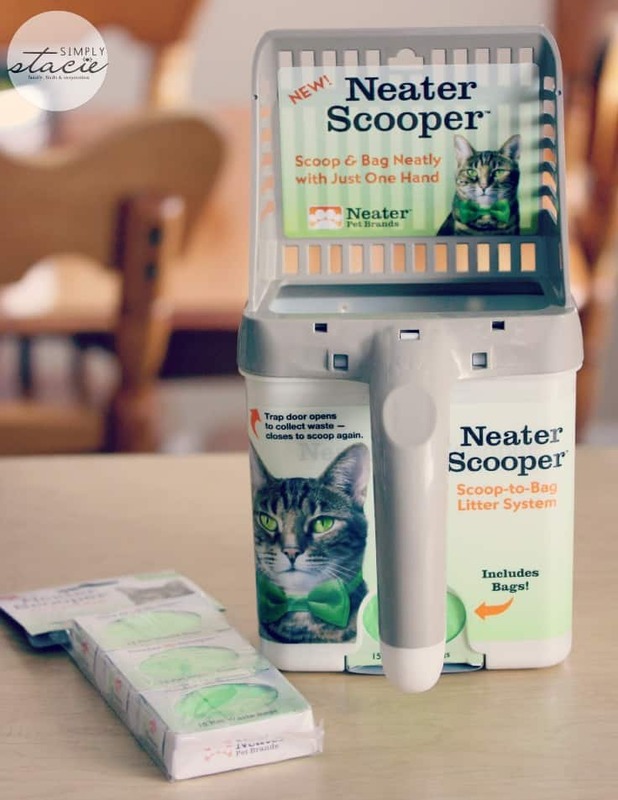 This looks like it would clean the litter easier than those little scoops. Might be tidier too. This is genius! We have 3 cats and 3 litter boxes! I’m headed to Amazon! I love this with having 4 cats this would be so handy to use everyday. I have to do it 2x a day with 4 boxes. This is cool! I was looking at a littler locker but I’m thinking this is a better thing! Very cool! This is cool! I was looking at a littler locker but I’m thinking this is a better thing! Very cool! I’m going to look into it! Well this is new…..I think my mother in law would appreciate this!